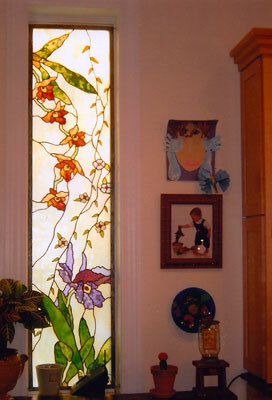 Opal Glass Studios has been in business for over 30 years, initially specializing in original stained glass designs. Opal Glass Studios has been it’s present location at 319 N. Albany for 22 years, in a large industrial loft. Expanded capabilities and facilities include the casting of glass and bronze, the firing of ceramic and the slumping of glass. 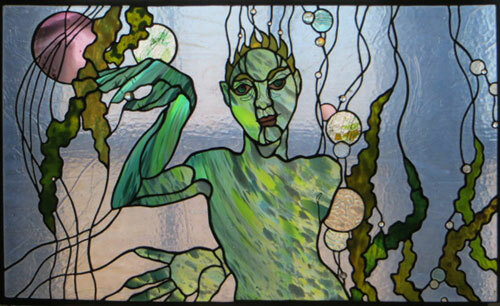 Sharon began working with glass at 18 years of age, honing her skills originally in Chicago and working in San Fransisco for over a year. Upon her return to Chicago in 1983, she opened Opal Glass Studio in Chicago at 3449 N. Sheffield. After 7 years at this location she had outgrown the space and moved her studio to Chicago’s West side in East Garfield Park. 24 years at this location have seen expansions in both the types of work Sharon is capable to producing and in creative growth. Upon visiting this Opal Glass Studio site you will find her more functional commissioned works in glass and other materials. The Sharon Bladholm fine art site opens up a unique world of sculptural and 2-d works in a myriad of forms and materials including bronze, glass and ceramic in the sculptural realm plus printmaking , other works on paper. She is also involved in public art projects. 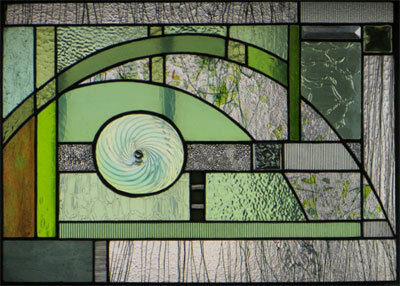 This dual focus takes her original stained glass design out of the mundane pattern book type of stained glass. When commissioning Sharon you are putting a fine art and crafts specialist with over 35 years of experience to work designing and completely fabricating a unique project that has been co-designed with your input all through out the process. Her facility in drawing means that no subject is beyond rendering in glass. 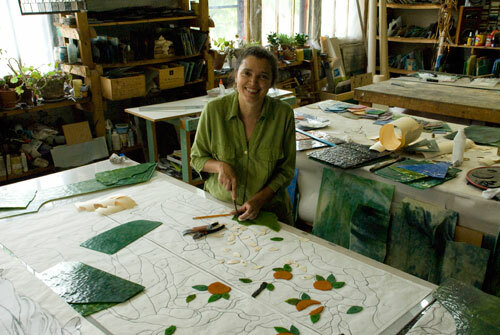 Her ability to paint allows for painted and fired glass to be included if appropriate.This can allow for more detail. 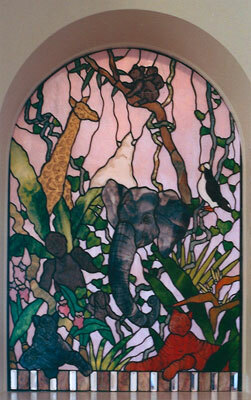 Some stained glass artists are great craftsmen OR great artists, Sharon Is both. Unlike studios with many employees, Sharon creates her work herself, every step of the way, only hiring associates for very large projects. This assures for the highest quality and true “Art Glass” as much of what makes an exceptional piece is how the particular glass is selected and cut for the window. She has perfected the art of working with opalescent glass, “painting” with the glass by choosing a particular area of the multi colored streaks of glass to express the curve of a flower petal, the shadow of hillside and much more. Her stained glass window of pond habitat sheds a beautiful glow to the Mysteries of the Marsh permanent exhibit at the Peggy Notebaert Nature Museum. Her bronze sculptures of endangered creatures of the wetland environment including dragonflies and turtles also enhances the exhibit. She completed windows for a castle outside of Glasgow, Scotland. A scene of a complex underwater world graces the 83rd floor of the Hancock building. The multi-stepped design process allows the client to see exactly what the final result will portray.